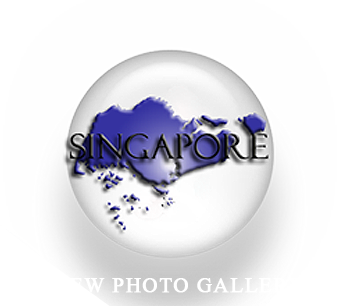 One of the crown jewels of Southeast Asia, the island nation of Singapore is not only a leader in technology and finance; it also has become an exciting place of growth and expansion for Christianity. The Jackson Family had heard about unprecedented revival that was happening in Singapore as a result of Pastors and Christian leaders praying in unity for the salvation of souls in their nation. God has been answering that prayer for Singapore just as He promised in II Chronicles 7:14 which says, “If My people, who are called by My name will humble themselves and pray, and seek My face and turn from their wicked ways, then I will hear from heaven and will forgive their sin and heal their land.” Those who are following Jesus Christ in Singapore have dramatically increased in numbers over the past decade and God is pouring out His blessing as the nation has become a major hub of Christian churches, discipleship groups, and Gospel mission organizations. In 2008, it was the perfect moment in God’s plan for the Jacksons to share in their first concert tour to the nation of Singapore. With the support of a wonderful teaching and discipleship ministry, Growing Families International, which was founded by Gary and Ann Marie Ezzo, the Jackson Family embarked on an ambitious schedule of concert dates that had been organized by GFI’s Singapore leadership. Deeply honored by their partnership and such selfless acts of serving, the Jacksons immediately felt connected to these precious brothers and sisters in Christ. The people of Singapore, who speak both, English and Chinese, seemed to be instantly drawn to the songs about family relationships and Christian moral standards. Hosted by five denominations of churches, the Jackson Family shared ministry in civic concert halls, a school assembly hall, church auditoriums and, finally, at the Singapore Exposition Center which is the nation’s largest indoor venue. Pastor Lawrence Kong, senior Pastor of Fellowship Community Baptist Church, graciously extended an invitation for the Jacksons to share their special ministry to families before his church crowd of 10,000+ at the Exposition Center. Governmental approval was needed for this American family to appear before such a sizable crowd and, miraculously, permission was granted speedily and in perfect timing for the event to take place. In their last meeting before leaving Singapore, the Jacksons ministered before hundreds of teenagers at a regional camping retreat. These young people heard impassioned testimony and songs about Godly family relationships, influences from media, sexual and emotional purity, as well as how to have a saving relationship with Jesus Christ. Nearly every teenager in attendance made a decision for Christ that night and thousands more committed their family relationships to Jesus all across Singapore. In January of 2010, the Jackson Family returned to Singapore where they were hosted by Living Word Fellowship; a visionary church made up of, primarily, Filipino families. The Jacksons were first introduced to this warm fellowship of believers in 2008 when they shared in ministry at a large civic auditorium. Now meeting at a local YWCA auditorium facility several times each weekend, this church once again welcomed the Jacksons to Singapore. They have been a source of powerful support for the family’s outreaches all across Asia. This strong partnership in the Gospel and shared desired for ministry to the nations is an effective tool for God to use in these days of great spiritual harvest. These people in Singapore have shown the Jacksons a vivid portrayal of spiritual unity, love for family, generosity and unconditional acceptance in the Body of Christ.